Can I Recover from Recovering My PC? 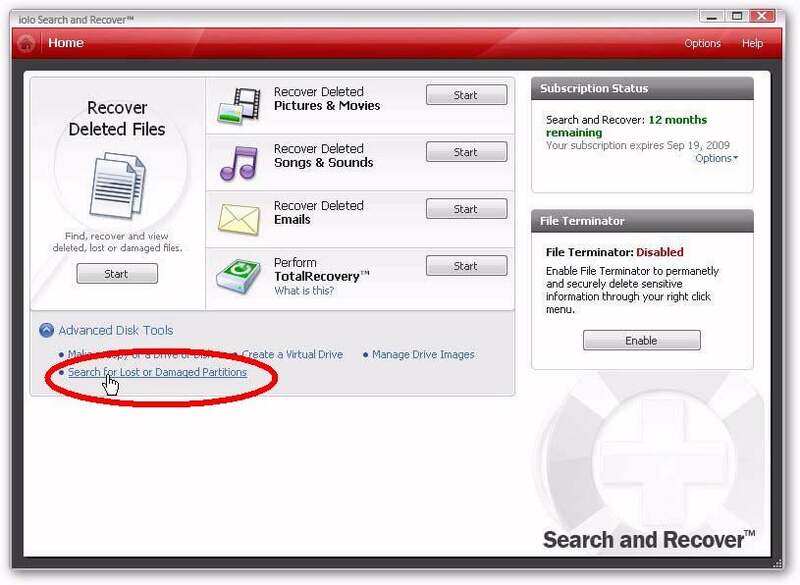 Virtually all commercially-sold PCs come with some sort of recovery tool--an alternate way to boot your system (either a CD, a DVD, or a special key combination to press shortly after turning on your PC) that can return your hard drive to its factory condition. Thus, with just a few keystrokes, you can once again have a working copy of Windows, along with all the bundled junk you studiously removed, and none of your own files. This is almost certainly overkill for an unbootable PC. 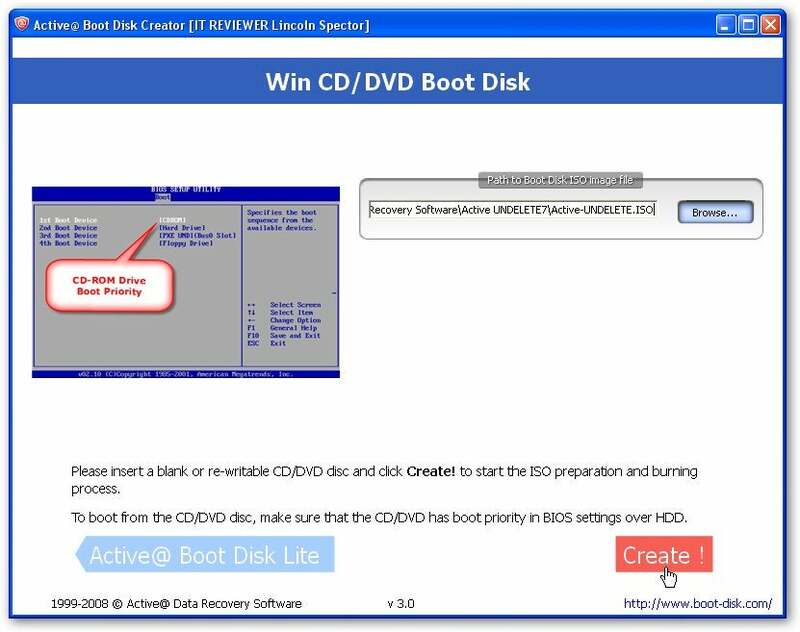 See Diagnose and Repair an Unbootable XP or Vista PC and Six Downloadable Boot Discs That Could Save Your PC for better advise when Windows won't come up. And speaking of mistakes, never ever run your PC's recovery tool without first backing up your data. In fact, you should never go to sleep without first backing up your data. In this day of cheap external hard drives and automated online backup services, there's just no excuse. Okay, enough lectures. You've made your mistake. Can you get your data back? It's hard to say. There's a slim chance you can get everything back, a good chance you'll get some of it, and a real possibility you'll get none. The problem isn't that the recovery tool erased everything on C:, but that once it finished erasing, it started laying down files. It's the overwriting, not the erasing, that destroys your precious bits. Your chance of recovering files decreases every time something writes to that hard drive. Letting the recovery tool complete its job lowers your chances. So does booting into Windows and using the computer. Here's another issue: The more fragmented the files on your PC, the less likely they will be successfully restored. Another good reason to defrag regularly. How do you restore the data if you can't boot the hard drive? There are two options: Physically remove the hard drive and attach it as a secondary drive to another computer, or use recovery software that comes on a bootable CD or flash drive. The Bytecc USB 2.0 Drive Mate or a similar device will let you easily plug your drive into another PC. the best solution. You can then install it as an internal slave drive in the other PC, or use something like the Bytecc USB 2.0 Drive Mate to effectively turn it into a USB external drive. What software should you use? I recommend either Iolo's Search & Recover or LSoft Technologies' Active@ Undelete. You can download free demo versions of each of these $40 programs, and use them to find out what can be restored (you'll have to buy one to actually restore anything). Whichever program you use, select the option for scanning the drive for lost or damaged partitions. Since you should never write to a disk on which you're recovering data, save the files you recover to this other computer's regular hard drive. Active@ Undelete Professional walks you through the job of creating a bootable CD. which can create a bootable CD, DVD, or flash drive. For an extra $20, you can buy Active@ Undelete Professional on a bootable CD. You'll need another drive to save the recovered files to. I recommend in an external hard drive (you can use it for backup after you're done). For smoothest access, leave this drive unplugged when you start booting the PC, then plug it in as soon as you see that the PC is booting from the Active@ Undelete disc. If all this seems intimidating, you might want to have a professional do it. Since there's probably nothing physically wrong with your hard drive, any competent computer repair shop should do. If you think the drive may have physical problems (for instance, if it's making odd noises), if everything else you tried failed, or if your data is extremely valuable, you might want to go for the best in the business. That would be either Ontrack Data Recovery or DriveSavers. But be warned, recoveries from these companies can cost you thousands of dollars. That will get you into the backup habit. Read the forum discussion at http://forums.pcworld.com/message/141583.